Attorney Jim Saksa gives us a look at surprising liquor laws that keep consumers and small businesses on a tight leash. 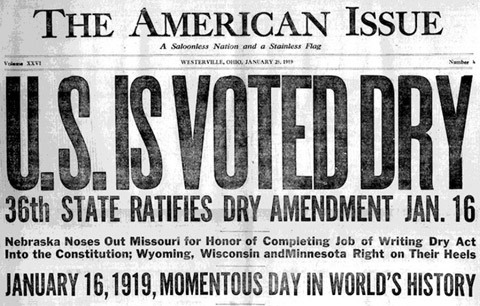 In the wake of the 21st Amendment’s repeal of Prohibition back in 1933, countless regulations were instituted for the purpose of limiting access to alcohol. Most of them stand firm today in the form of liquor licensing systems, which tighten the grip around restaurateurs and bar owners. Saksa digs deeper and finds that the following states also follow the quota decree: Alaska, Arizona, California, Florida, Idaho, Kentucky, Massachusetts, Michigan, Minnesota, Montana, New Jersey, New Mexico, Ohio, Pennsylvania, South Dakota, Utah, and Washington. Besides quotas, several states, such as Pennsylvania, are “control states,” which means that they have had a long-reigning monopoly on any and all forms of mass-scale alcohol distribution in the state. Moreover, an overwhelming majority of booze regulations serve to benefit only select groups, such as beer wholesalers, and add up to be extremely pricey for consumers. Likewise, efforts made toward privatization have only ended up hurting small businesses and entities like microbreweries, bars and unions. Just to verify that not all laws are based on good logic, here’s a look at a handful of the most preposterous and questionable liquor laws in America, as outlined by Saksa.